It’s her wedding day and she’s determined to be the star of the show. A neurotic, perfectionist and control freak, she’s not about to let anyone or anything stand in her way. The way she figures it, it’s her day, dammit, and everybody else had better get on board. 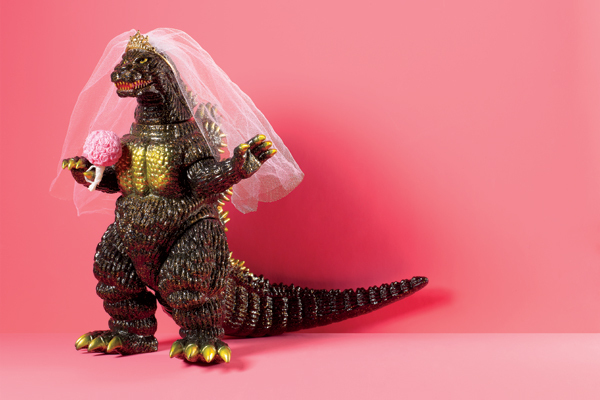 Meet Bridezilla, difficult, unpleasant and greedy. She’s a modern-day monster in an expensive gown. Like a spoiled child, she wants what she wants and she wants it now. She expects all those around her to acquiesce to her every demand, no matter how petty or outrageous. And woe betide the poor DJ who doesn’t say “yes” to her every request. Wondering where these harpies come from? In some cases, bridezilladom can be traced back to breeding. You can thank Mom and Dad, who have let their little darling get away with murder since she was in pigtails. However, most bridezillas are not spoiled brats or horrible people. They’re just stressed-out women who have a multitude of legitimate reasons to feel that way. So, pity bridezilla, for she knows not what she does. Why Does She Behave So Badly? Here’s why. Take a monumental event like getting married, throw in a huge price tag and some emotionally charged family dynamics (your mother threatens to boycott your wedding if your father brings his hot, young, new wife), add the sort of logistical challenges that could throw even Martha Stewart for a loop, and you’ve got a perfect breeding ground for irrational behavior. Remember, for most people a wedding reception is the biggest party they’ve ever thrown. That fact alone causes many brides to lose all sense of perspective. Unrealistic expectations created by bridal magazines and TV shows all conspire to drive home the notion that simply everything must be perfect. The dress, the food, the flowers, the music, everything down to the tiniest detail (personalized Hershey’s kisses, anyone?) And, God forbid anything goes wrong, a temper tantrum may ensue. For many of the 2.4 million brides in the United States each year, the period before marriage may be filled with conflicting emotions. A bride-to-be’s feelings of happiness and joy may also be tarnished with fears about her choice of a life-partner or worries that her divorced parents will not be able to get through the wedding without chucking the seven-tiered cake at each other. Regardless of their age, all brides are equally likely to face some sort of emotional and psychological turbulence ahead of the wedding day. Although the reasons may vary, experts say that younger brides may have anxieties about separating from their families, while older brides may mourn the loss of their independence. Most of us who entertain at weddings can spot an incipient bridezilla a mile away. We’ve dealt with her so many times before that we think we know exactly what to expect and so, prepare to deal with her accordingly. If you’ve become tainted to the point where all you need as evidence that a bride is a demanding biatch who thinks of her wedding as “Princess’s Special Day,” is the fact that she’s a woman, I think you’ve gone a little too far down Misogyny Lane. I invite you to travel down Empathy Street with me for a minute. Take off your catcher’s gear and pretend you don’t know what to expect from the glassy eyed woman coming hurriedly toward you. Can you imagine that she’s your sister? And if she was, wouldn’t you respond to her with kindness and compassion? I think that we DJs need to stop our kvetching to each other and have more sympathy for the “devil,” because planning a wedding is nerve-racking experience wrought with so much tension and emotion that it can be hell. Try this on for size. The next time a demanding bride gets in your face, keep your temper and politely ask her to take a couple of deep breaths while reminding her that it’s going to be a wonderful day. Hand her a nerf ball with a smile and tell her to squeeze it anytime she is feeling stressed. You may find that later she apologizes for her behavior and turns out to be a very gracious lady. When a client starts to turn from Miss Jekyll into Mrs. Hyde, think about this: Society places an incredible amount of pressure on a woman not only to get married, but to make her wedding “The Best Day Of Her Life.” Entire industries thrive because of weddings (including ours). Since only 27% of weddings are paid for by the bride’s parents, that means that the bridal mafia has convinced these women they’ve got to spend their way into happiness. Women are still largely charged with organizing their weddings, which for many is the equivalent of a part-time job on top of whatever else they do for a living. All of this adds up to enormous pressure, which can make even the strongest person crack a little. So remember, she’s not a crazed, selfish hellion. She’s just a ferociously stressed-out person. 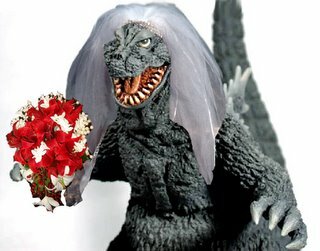 As you may know, the term bridezilla originates from the story of Godzilla, a cute little lizard who was exposed to poisonous atomic radiation that turned him into a monster. The only thing that can destroy Godzilla is that which created him: radiation. It’s logical, then, that the only thing that can destroy bridezilla is the magic potion that turns her back into a human being; kindness. 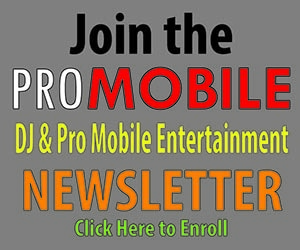 Want to know more about the subject? Then check out IndieBride.com and ConsciousWeddings.com. What are your thoughts on this “monster” of a subject?